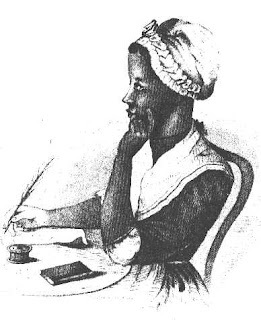 The first major Black poet, Wheatley's 1773 work was the second book published by an American woman. October 17 is black poetry day, I find it incredible how much this group of individuals has contributed to this country and how many Americans have no idea of those contributions. I love homeschooling because I am able to share what other cultures have contributed with my children where in school the text books leave out so much. Even during black history month those who are acknowledged are the more famous individuals. It is important that our children learn about all the individuals who have contributed to the building of the country and have contributor in other areas such as the arts.